_MAL4407.jpg, originally uploaded by Michael A. Lowry. Yesterday evening I took a walk down to Ulriksdall slott with my friend Eva. The sky was overcast, but the cloud cover was thin, so I was able to capture some nice photos of the flowers around the palace. The lilac is in bloom here in Stockholm. When I catch a whiff of this flower's lovely fragrance, I know that summer has truly arrived. 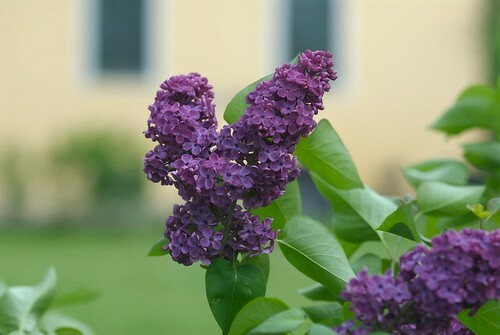 By the way, I learned from the aforelinked* article that the Swedish name for lilac shared a common root with the Latin name and the word syringe, because the shoots of some species take the form of hollow tubes. One can find some iteresting stuff on Wikipedia. Here are all 7 photos from the walk. * I just made that word up**. ** Apparently I wasn't the first.